As the 2017 Geneva Motor Show is approaching swiftly, automakers across the world have prepared themselves to come front to the global stage with their new innovations. Also, some of them are previewing a glimpse of what they plan to unveil at this motor show. 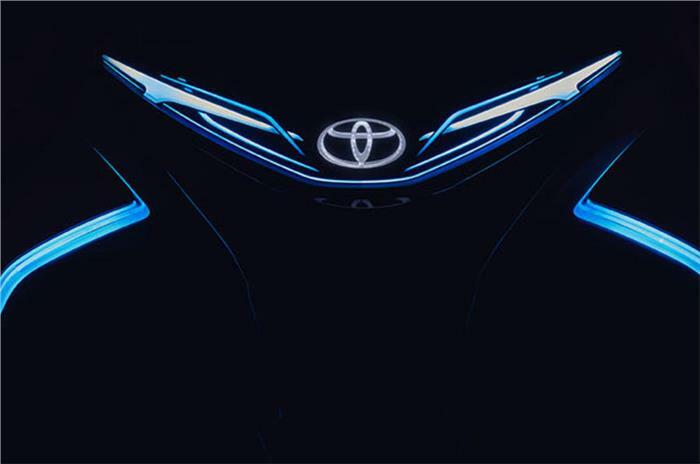 Following the same theory, Toyota, the renowned Japanese auto major, has released a teaser image of its city car concept, i-Trill, the debut of which will take place at the Geneva Show. It will be unleashed alongside the facelifted Toyota Yaris and Yaris GRMN. According to the automaker the new i-TRIL Concept “will showcase numerous innovative aspects of Toyota's research into ever better and more engaging environmentally-friendly mobility solutions.” Designed in Europe, the concept version will come in the form of one + two seating layout (one seat up front and two seats at the back). Besides, the vehicle is also reported to come with an autonomous driving functionality. Adding further, the automaker said that this will also sport the Active Lean technology in order to perform better at the corners. This technology is similar to the i-Road concept once showcased at the Geneva Motor Show in 2013. The limited top speed of this car will possibly similar to that of the i-Road concept, i.e., near 48 kmph.